Bathrooms: 4 "1 Half Bathroom"
Size: 7,018 sq. ft. "5,942sq. ft. AC 1,076sq. ft. decks & patio"
Lot Size: 14883 sq. 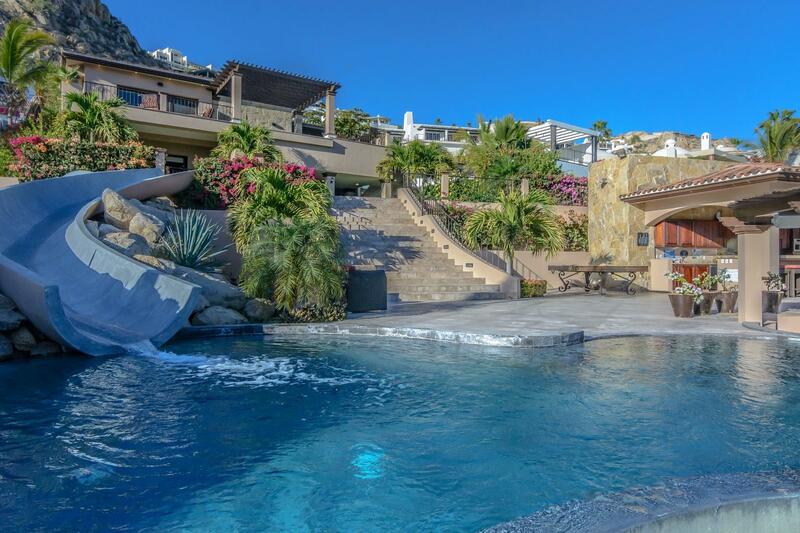 ft.
A truly magnificent villa, located in the prestigious Pedregal, has breathtaking views of the Pacific Ocean and beach. This 4 bedroom, 4.5 baths, 4 car garage also has an elevator to take you to the 3 levels of the amazing property. The villa boasts a second living area and an office with a view of the ocean. A must see!